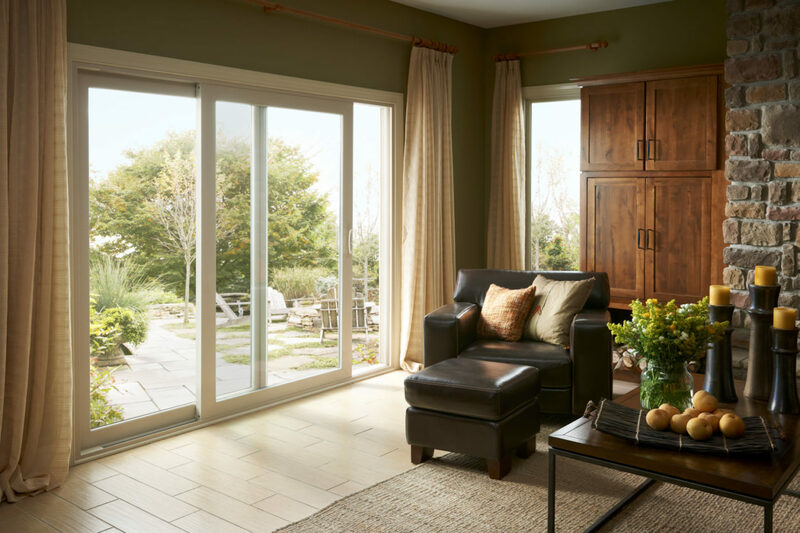 Following years of research among remodeling professionals and homeowners to better understand what they wanted in a patio door, the new Inovo Patio Door by Simonton was designed with solutions that combat everyday issues. 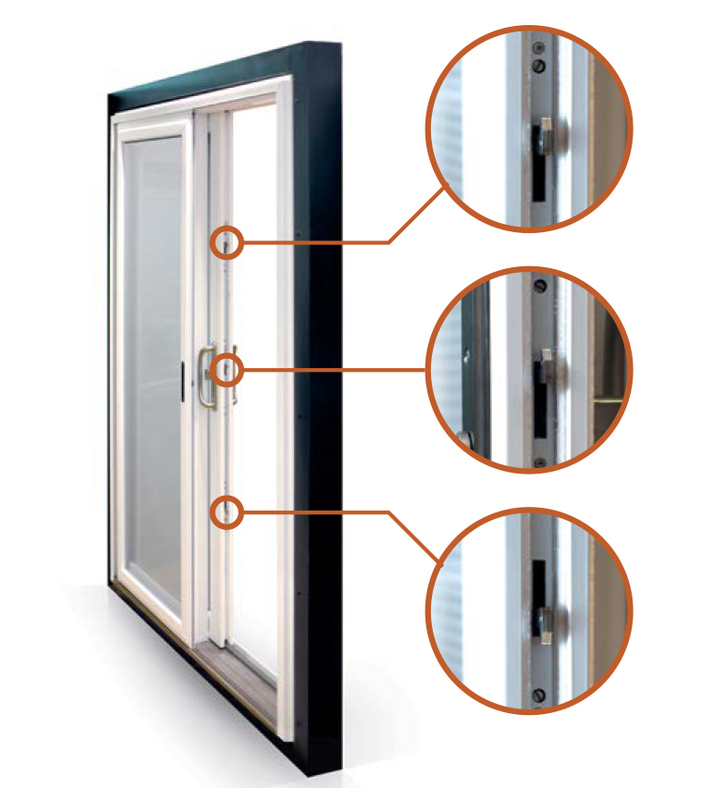 Focusing on performance, operation, and design, the Simonton Inovo Patio Door represents the utmost in innovation for replacement patio door companies. 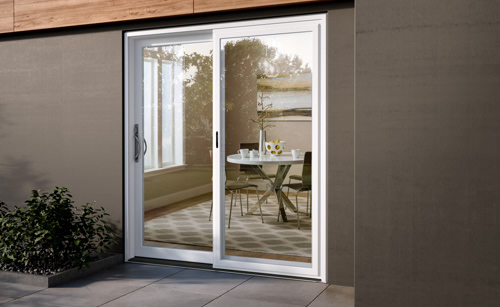 The Inovo Patio Door by Simonton is offered in two-, three-, and four-panel styles and features a top-hung screen that minimizes contact with obstructions that can settle into the bottom track and interfere with opening and closing. 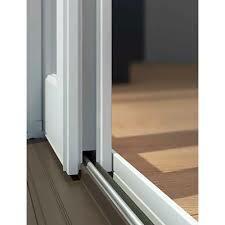 The all-new patio door also features a welded sill with a neutral colored fiberglass overlay. 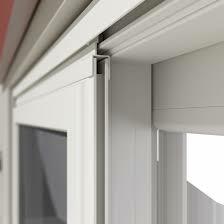 The triple-point locking system secures the sliding panel at three locations for optimized strength and security. The standard multi-point lock system utilizes two points of lock engagement. 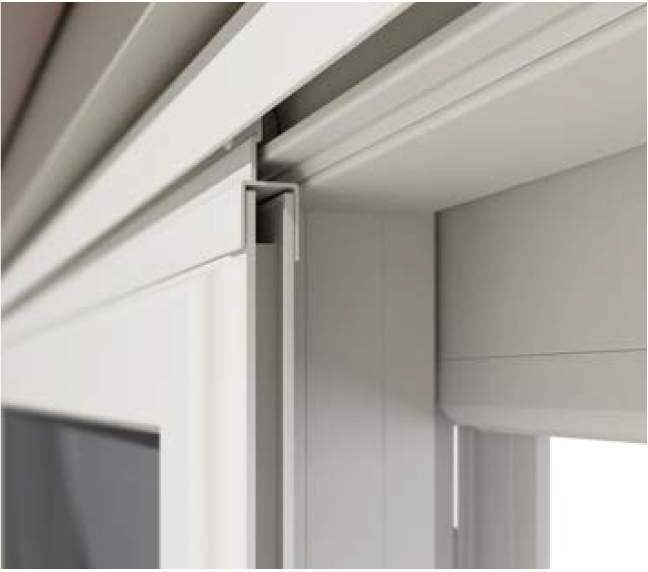 Monorail system elevates the sliding panel across the rail creating a tight seal to lock air and water out and a smooth, rattle-free glide that will endure a lifetime of everyday use. 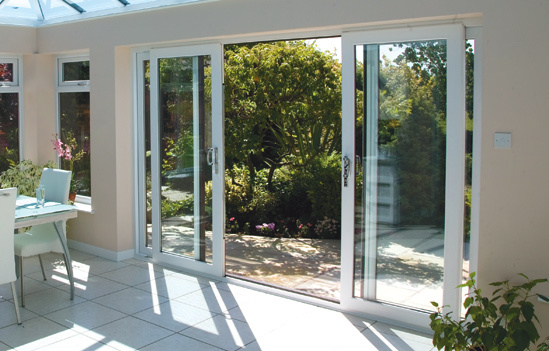 A typical patio door slides within a pocket sill, which creates an area for water and dirt to collect and potentially leak into your home. 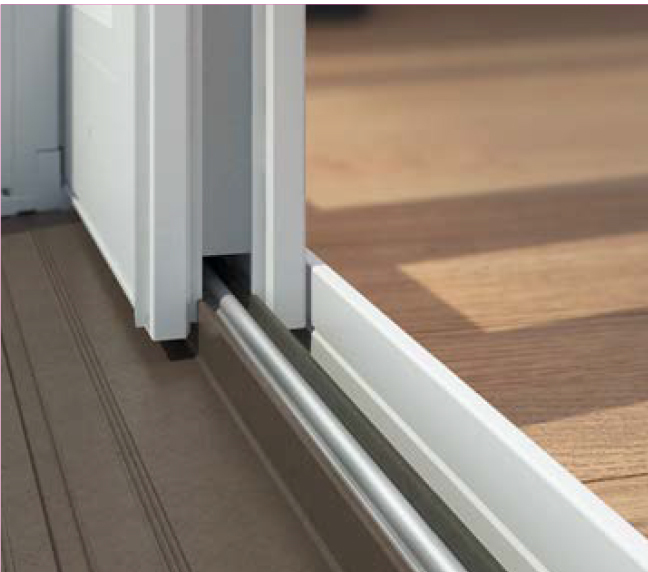 Our monorail system elevates the sliding panel across a rail creating smoother operation and a tighter seal. 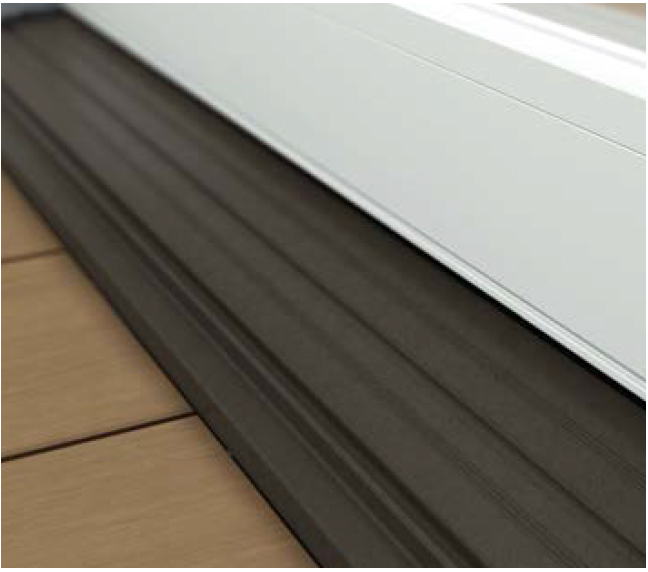 Welded sill fiberglass overlay creates a tighter, stronger seal to help keep the elements out. Neutral color helps hide dirt. 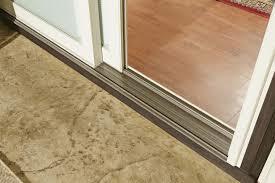 Many patio door sills are made using aluminum - a material that, over time, is likely to show wear and tear. Our sloped fiberglass sill is more rigid to ensure durability throughout a lifetime of everyday use. Top-hung screen system leverages a sturdy, 3-inch thick frame that glides smoothly across an unobstructed track. A traditional patio screen door consists of a 2-inch frame and operates along bottom rollers, making it flimsy and vulnerable to obstructions that cause racketing along the track. Our screen design has extra durability and ease of use. From the sill up, INOVO from Simonton Windows ensures vinyl industry-leading performance, functionality and design. Some things are so obvious after the fact. Why wouldn't we build a door this way?